A true masterwork of storytelling, Dracula has transcended generation, language, and culture to become one of the most popular novels ever written. It is a quintessential tale of suspense and horror, boasting one of the most terrifying characters ever born in literature: Count Dracula, a tragic, night-dwelling specter who feeds upon the blood of the living, and whose diabolical passions prey upon the innocent, the helpless, and the beautiful. 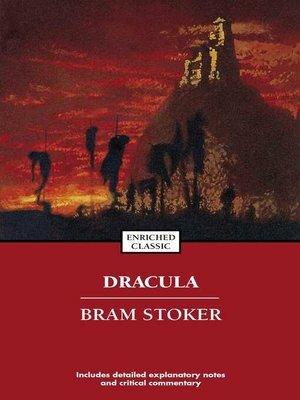 But Dracula also stands as a bleak allegorical saga of an eternally cursed being whose nocturnal atrocities reflect the dark underside of the supremely moralistic age in which it was originally written -- and the corrupt desires that continue to plague the modern human condition. Pocket Books Enriched Classics present the great works of world literature enhanced for the contemporary reader. This edition of Dracula was prepared by Joseph Valente, Professor of English at the University of Illinois and the author of Dracula's Crypt: Bram Stoker, Irishness, and the Question of Blood, who provides insight into the racial connotations of this enduring masterpiece.